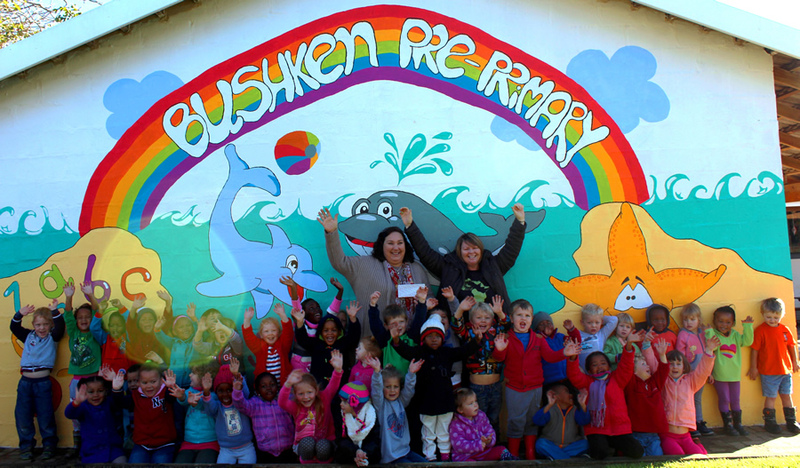 On Saturday 30 May Bushken Pre-Primary School held a potjekos, silent auction and raffle for an all inclusive day trip to Kariega game reserve for 8 people. This fundraiser is one of the events organised by Bushken this year to raise funds to upgrade its premises. Over the last couple of years the school has been growing and its now looking to extend its buildings with an office and extra class room. The fundraiser has been a big success with over R40,000 raised! Part of the funds raised went to the Chipembere Rhino Foundation to buy a tracking collar for one of the Rhinos. A cheque of R3000 was handed over Jo Wilmot of the Chipembere Rhino Foundation on Monday 27 of July. ‘A heartfelt thanks to Bushken and all those that supported their fundraising initiative. We will make sure your donation counts!’ said Jo.